under the sign of Jazz Age Glamour - The Blue Book Ball. 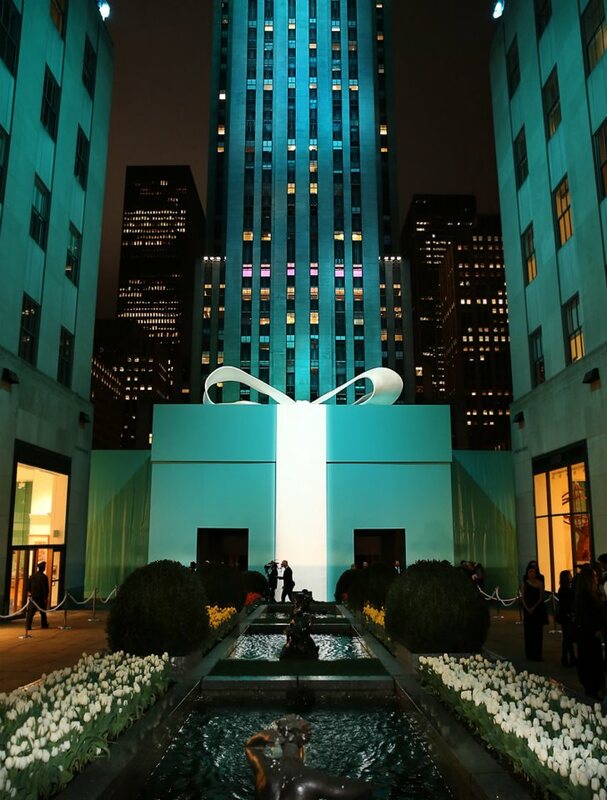 A 31-foot gift box wrapping Rockefeller Center in a sprawling iconic blue bundle was to be seen and recognized. Carey Mulligan (who is going to wear one of Tiffany's masterpieces in her latest movie, The Great Gatsby), Gwyneth Paltrow and Victoria Beckham were there, all showcasing spectacular pieces in one of New York's most famous art gems.